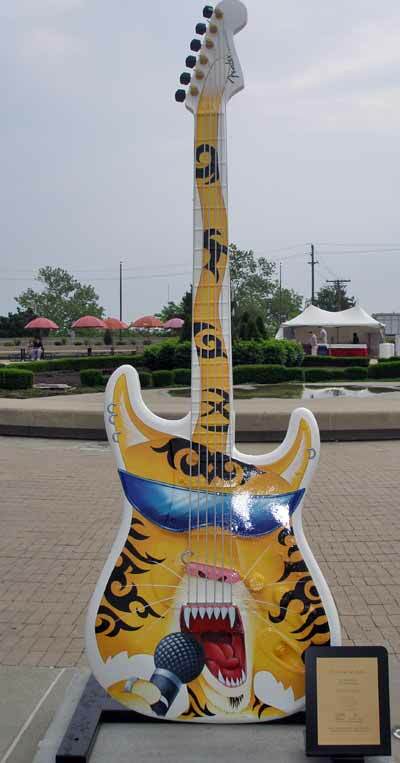 would you find this huge Guitar? 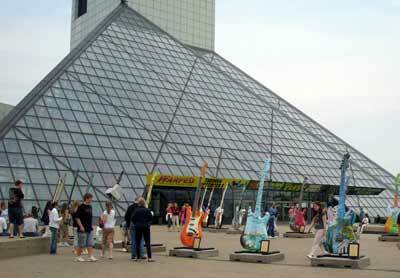 Dozens of huge guitars, based on the Fender Stratocaster, were created for Guitarmania 2007 at the Rock and Roll Hall of Fame and Museum in Cleveland. 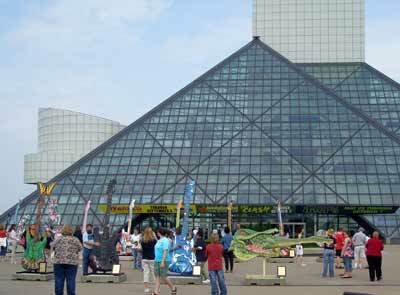 They were displayed in the front of the Rock Hall for awhile and then are being distributed throughout the city at various points of interest. 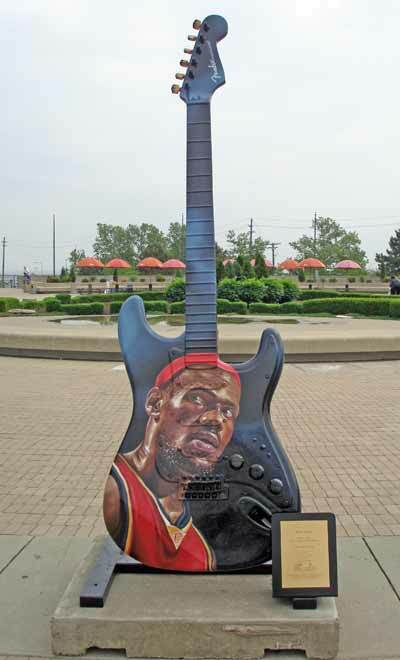 See many more closeup photos of these amazing guitars celebrating the Cleveland Indians, Cavaliers, University Circle, the Zoo and many more by clicking here for more Guitarmania 2007.